On Saturday, the third day of Wakarusa in Ozark, Arkansas, my morning began at about 5 am when I woke in my hammock being pelted with rain. Those who were still up, roaming the campsites like zombies, seemed to enjoy the cool rain dropping from the clouds. But me? I was tired and wet. Luckily, I managed to snag a little bit more shut-eye throughout the day so everything turned out alright. 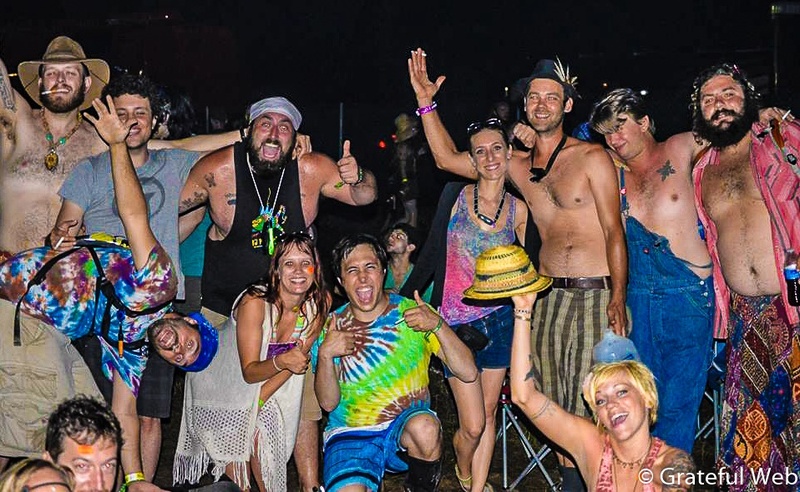 There was mud, but not an astronomical amount, so those of us who were at Wakarusa last year found the state of the ground to be rather pleasant, comparatively. The lineup for the day was great; full of large bands and artists I never thought I'd get to see live, plus an awesome musician, Reignwolf, whom I hadn't heard of before the lineup. I missed a few bands I was really hoping to see, but I don't think I've ever made it to all the shows I wanted to at a music festival. Despite all my efforts, there just isn't enough of me to go around (to all the shows). The music part of my day started by seeing part of the Walk off the Earth set. They're a large band that sounds a lot like some popular bands like Imagine Dragons. You know, that full, bursting sound with trumpets and timpani-sounding drums; lots of sailing vocals and crescendos. It's a great festival sound, because the music travels through tent city and gets people bobbing their heads and tapping their toes in the dirt (or, in this case, mud...). Near the end of the set one of the band members tossed their guitar to the other, who did not catch it. Nothing seemed terribly broken, though, so I guess that brand can take a beating. Walk off the Earth also had a lot of crowd participation, which I love in a large enough crowd. In a smaller crowd the participation often falls flat, so it's usually a terrible idea. After my first band of the day I wandered around taking photos of festivalgoers and relaxed a little bit at the Satellite Stage. It's a wooded, shady area on a hillside that has lots of trees for hammocks and leaning against, so it's a great place to chill for awhile. But, of course, I had shows to get to so I didn't get to relax for long. 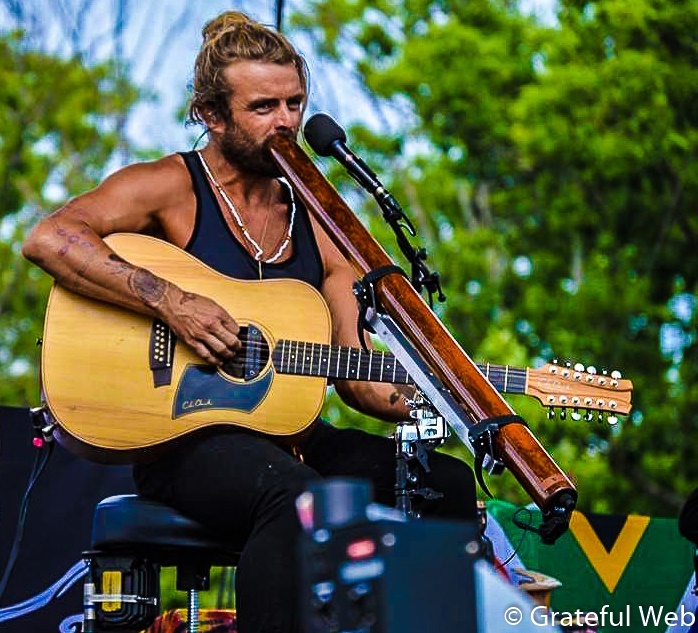 Next up was Xavier Rudd, a musician I didn't think I'd get to see ever! Since I first heard a song of his, Food in the Belly, I wanted to see a live show of his. I love his concentration on non-Western instruments. A learned musician makes much better music, I think. And it shows with Rudd. His set wasn't a huge production, just 3 folks onstage playing their hearts out. I really enjoyed watching the bassist, he seemed to be thoroughly enjoying his time playing for the Wakarusa crowd. After Xavier Rudd I stayed at Main Stage to see one of my top choices for the weekend: Reignwolf. He's been compared to Jack White, which is definitely a comparison I agree with. Reignwolf shredded the guitar, threw out tons of energy to the crowds (and they threw it right back) and performed to the crowd, not just for himself. This man has pure talent. Again, this band was small with only 3 musicians onstage, but they covered the whole stage. I can't say enough good things about Reignwolf. He plays true rock music and he is incredibly technically talented. Next, I traveled to the Revival Tent to check out a band Walk off the Earth recommended, The Mowglis. They were very similar to Walk off the Earth, but I still really enjoyed their set. They also featured a lot of crowd participation, and the audience was rather large, especially for an afternoon show, so it worked out really well. After grabbing some dinner I settled down at Main Stage for the next two shows: Edward Sharpe and the Magnetic Zeros and The String Cheese Incident. 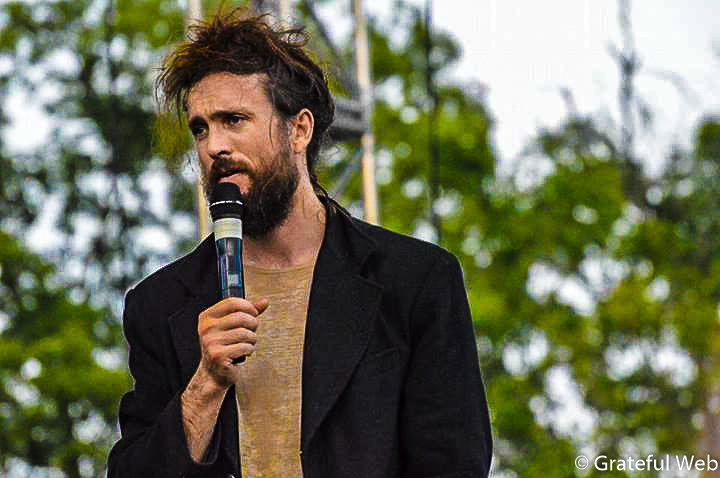 In a press conference earlier that day a journalist asked Edward Sharpe how the show would differ now that his female counterpart, Jade, is no longer with the band. Sharpe stumbled through his answer awkwardly and ended with 'it'll be a good show.' And honestly, this last show of their tour was good, but it wasn't great. I wish I could say the band's foundation is not in the perfected harmonies and the jubilant duets between Jade and Edward Sharpe. But I can't say that. The show lacked luster, and perhaps in a few months the band will have found the diamond, buffed it and come back to the stage with a fantastic set. But for now, I'm very sorry to say I think the show has lost a little of its draw for me. After that band ended Main Stage filled up with SCI fans. 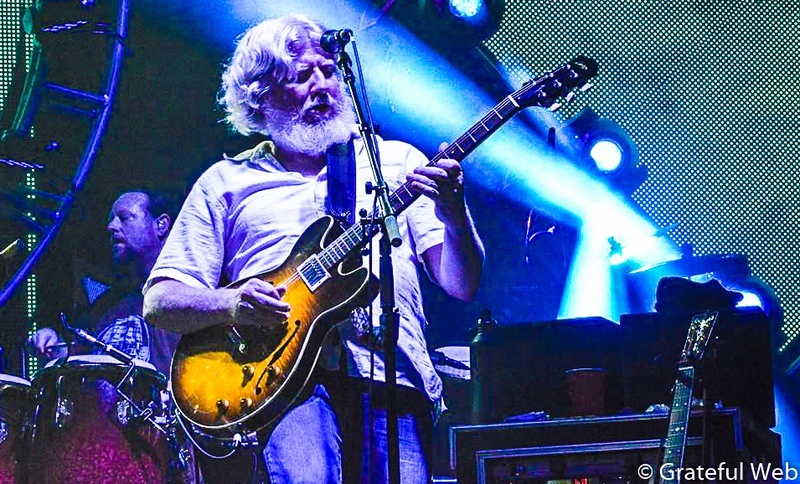 The String Cheese Incident hadn't been on my list of must-see bands for a long time. But after I did some research on them, interviewed Jason Hann, and saw Michael Kang and Bill Nershi perform with a few other bands, I knew I needed to check them out. Any band that can have a huge following for so long must have some salt to their performances. And salty they were. I was beyond impressed with SCI's 4-hour set. It seemed they broke up their performance into 3 parts: rock, electronic-inspired and bluegrass/folk. I think the order they chose was perfect; the two most energy-intensive sections first with a relaxing section to end the epic journey. Some of the highlights for me were a fantastic version of Ramblin' Man, a cover of Lose Yourself by Eminem and a song during the electronic-inspired set that sounded like a drum and bass song, but played with live instrumentation. The dnb-type song got me thinking about the ability of bands like SCI to cross over into other genres and draw a crowd from those groups. Through their multi-genre set I imagined people from all types of counterculture must embrace their music. 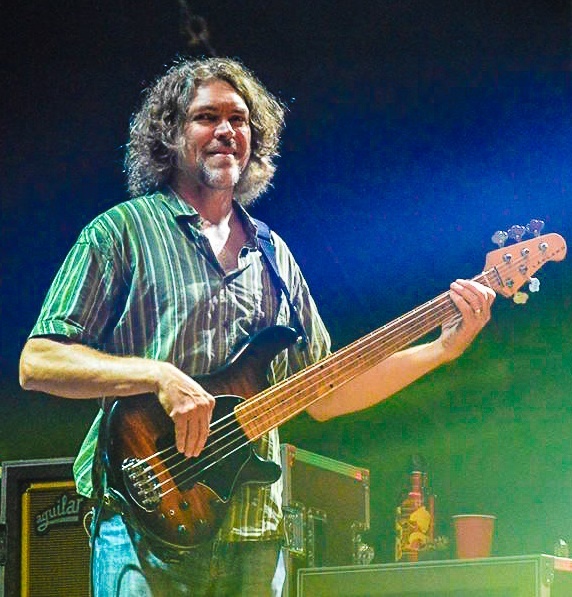 For a lot of people the phrase 'jam band' has a somewhat negative connotation, but it seems to me most well-learned jam bands are more multi-genreists than they are people who just noodle all over the stage like a bunch of trippy bozos. And before I discovered this music, that's kind of what I thought jam bands were. And now here I am, raving about a 4-hour SCI set that took place on a mountainside. Oh how the tide has turned! Speaking of turning tides, after SCI my final set to watch was BASSNECTAR. I was only half looking forward to this show because I hadn't been enjoying most of the music Bassnectar has put out in the last year or two. But my friends and I all decided to check out the show and dance our damn butts off. And dance our booties of we did! 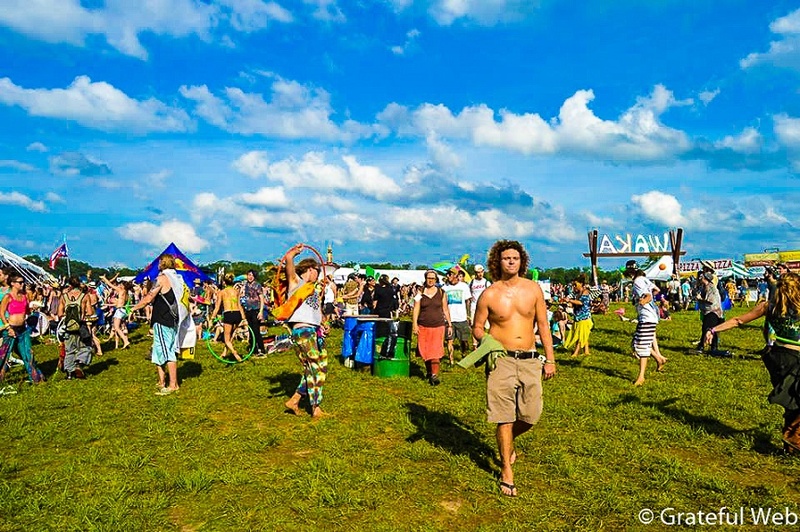 The show Bassnectar played during this Wakarusa seemed carefully selected and featured a lot of really great remixes, including 'When I Grow Up' by Fever Ray, a Sigur Ros song and a Martin Luther King Jr. 'I Have a Dream' speech excerpt. At first I was kind of put off by the MLK excerpt. Instead of focusing on the drive of the speech and its importance for society Bassnectar turned it into a song about being sure you move your body. But as I discussed the track with my spouse and friends I have changed my opinion on the matter (for now!). I think that, since his music is Bassnectar's way to connect with other humans, this is is only venue for conveying things that are important to him. So while the MLK speech use may be seem misguided on the surface, if somebody who is listening to this track is intrigued and looks up the words to MLK's speech that could change the course of the person's life. I think most people understand the ability of an exact moment to alter one's lifepath, and maybe this is the way a DJ does that. After the Bassnectar show I headed back to camp for some sleep. I was planning on staying for the Wild Child show at 6 pm the following day, Sunday, but when I woke that morning it was pouring rain. After a few show cancellations and a look at the weather my campmates and I decided to pack up and head home. Lucky we did, too, because the rain continued throughout the day. This year's Wakarusa was wonderful. The weather was mostly agreeable and I found a lot of great new music, despite a few disappointments (namely Edward Sharpe and the Magnetic Zeros and The Flaming Lips). Be on the lookout for some interviews with Spoonfed Tribe and Mountain Standard Time. And be sure to check out the lineup for Harvest Music Festival this year. It's a doozie, and in a good way! 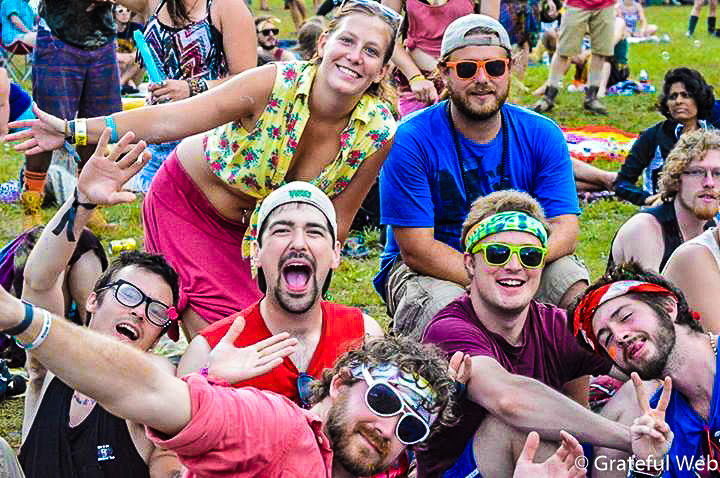 Check out more photos from Wakarusa 2014, including loads of festivalgoers.